The Torrino 2002 is a superb family home. Comfortably furnished and equipped it has everything you would want for a wonderful holiday. 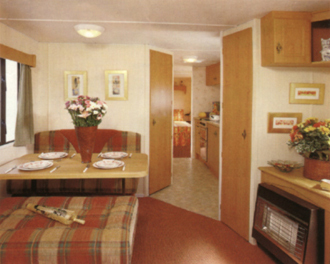 Features include deep sprung & buttoned upholstered seating, dining area, colour TV, fitted kitchen with gas cooker, fridge, microwave. Shower room with shower cubicle, WC, and wash basin. Sleeping up to 6 people, (4 Adults + 2 Children under 14 Yrs ), it has 1 double bedroom, 1 twin bedded room, and a second double bed incorporated into the dining area. WE DO NOT ALLOW SMOKING IN OUR CARAVANS. 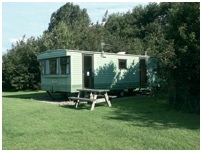 Electricity is provided in the caravans by means of a £1.00 coin meter. Due to Health And Safety Regulations, we ask that you refrain from using any personal electrical item without prior authorisation.